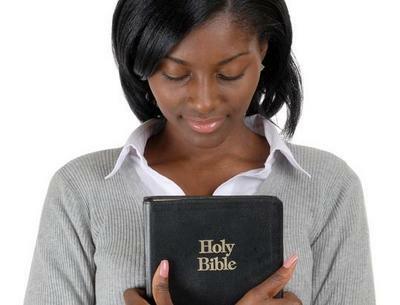 Think On This: Where do women fit in the black church? Women make up the majority of black congregations, said Mamiya. Women also provide the financial purse strings. "Ultimately, women control things in the black church. Black churches would collapse without them," he said. "It seems as though many black women in the pews have not decided to push for black women pastors. If and when they do, then things would change tremendously." But why haven't they? Mamiya said there are a few reasons as to why not. The main reason, he said, is because women see the options young black men have as role models in their communities. He said women realize there is a need for strong male figures in the black community, so they have opted for black male pastors to be a role model for the younger one. With all of this in mind, one would wonder if there is any hope for the future. Mamiya does not see women in the pews changing. "When they begin to see greater equality, then they will push to support black female pastors. Until that time, I do not see the situation of black women as pastors in black churches improving much. You have to awake the sleeping giants." What he does see happening is a greater exodus of black women switching to white denominations. Mamiya references a major study done by Dr. Delores Carpenter has served as a professor of Religious Education at the Howard University School of Divinity. Carpenter, Mamiya said, points out about close to half of black women who have divinity degrees have essentially left black churches and went to white denominations. "They found it easier," he said. "Now we do not know what kind of problems they have had or are running into like subtle racism or a glass ceiling. All of that has not been examined yet. But there have been definitely been a movement." And it has been occurring for at least the past 20 years. There has also been another trend, said Mamiya. There have been some women who have started their own churches, especially among Pentecostal women. "When the COGIC decided to keep the ministry all male, many of the women left the denomination and began starting their own churches," he said. "You started to see many storefronts. Many of them have put together enough small churches, becoming bishops and doing their own thing."